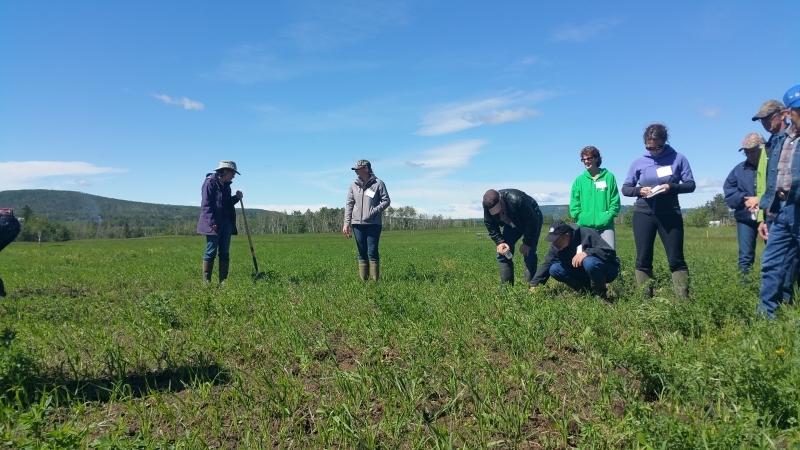 On Friday, June 17th, we joined forces with the Peace River Forage Association to provide an information seminar and tour which focused on livestock handling and legumes & nodulation among other interesting topics. 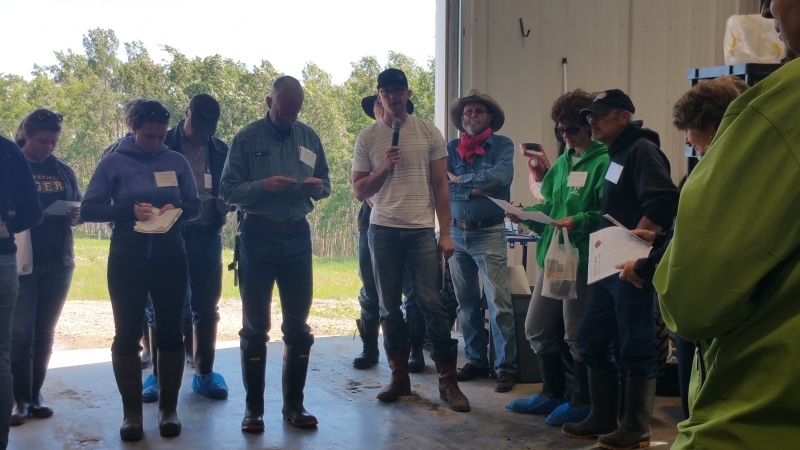 We welcomed Dr. Diane Knight from the University of Saskatchewan and Lynn Lochatelli of Cattle Expressions to give presentations and speak about their specialties. 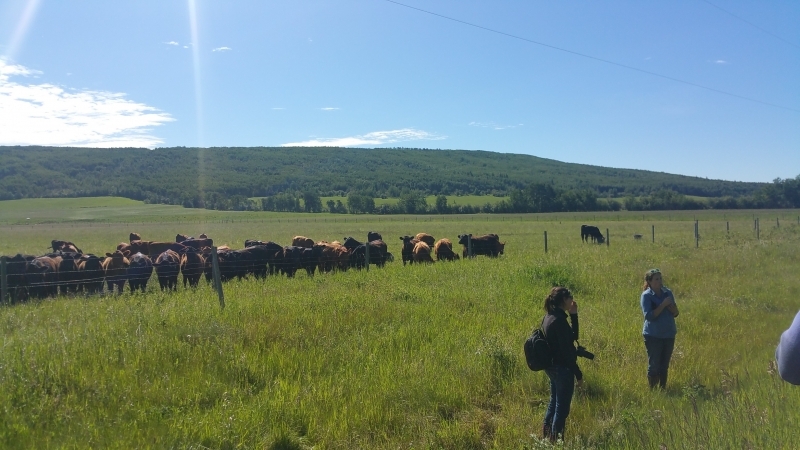 After meeting at SPG in the morning we headed out to check out Jodi Kendrew's efforts to teach her livestock how to eat weeds in an attempt to control the thistle population and give her hefers some added nutrients. 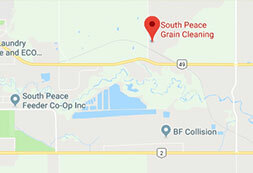 We followed that up with a tour of Fred & Lise Schneiders' fields where they have planted some of SPG's Union Forage seed along with peas and oats for their grazing program. 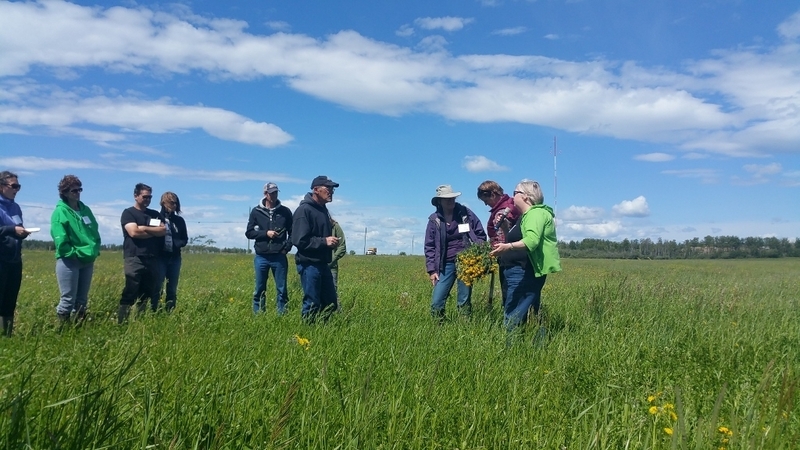 After a delicious lunch at the Schneiders' hay barn we went over to Gordon & Brenda Lazinchuk's to take a look at their Birdsfoot Trefoil in full bloom and their bale grazing process. We then popped into Nimitz Beef Farm to discuss their grazing practices and take a tour of their jerky making shop! Michael Nimitz very graciously provided us with some samples of their tasty jerky. 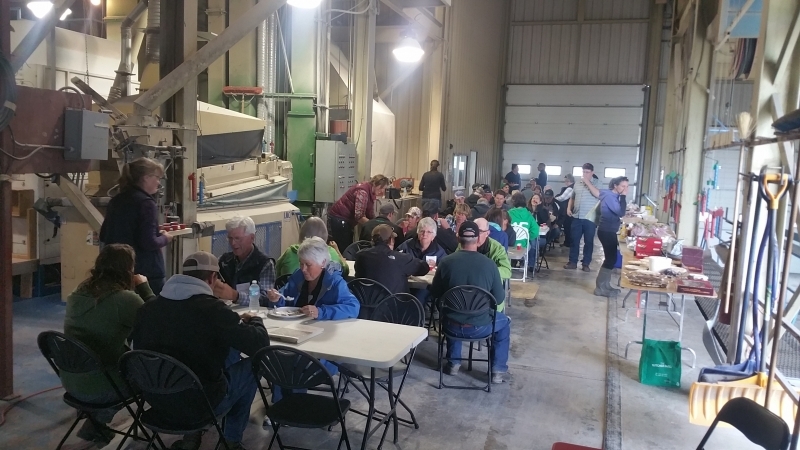 We finished off the day with a dinner back at SPG where the Peace River Forage Association handed out prizes and Shaun Grant gave a tour of our facility. 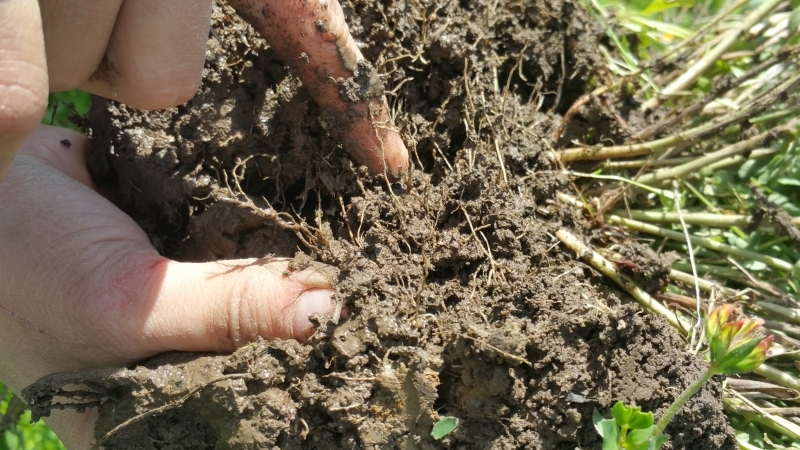 All in all it was a very informative and productive day. 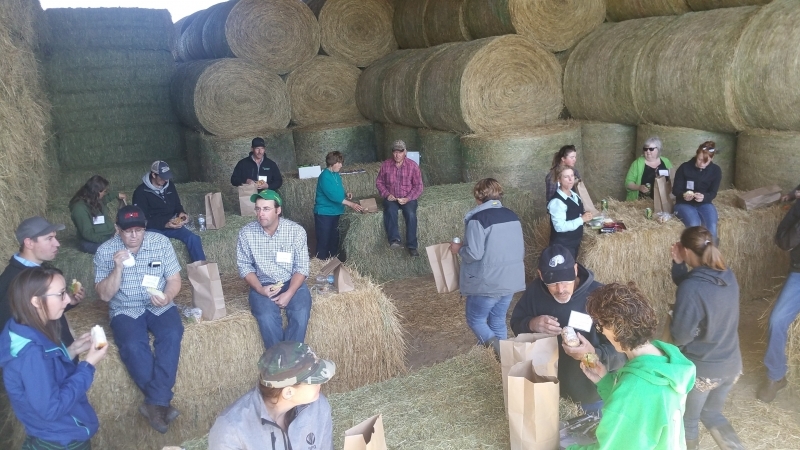 We look forward to continuing to work with the Forage Association on more of their events!